– Load / Save image in more than 100 formats. – Load / Save image & PDF on FTP & HTTP servers. – Create image from screen capture. 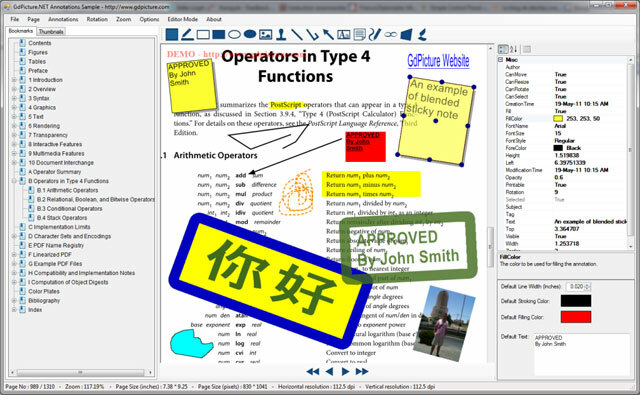 – Display Raster Images, Metafiles & PDF within a full-featured document viewer. – Print Image & PDF with complete control over the printing process & using featured printing dialog box. – Manipulate multipage TIFF image (insert, remove & swap pages). – Manipulate animated GIF image (insert, remove & swap frames, set frame delay & disposal method…). – Convert an image from one bitdepth to another. – Draw barcode, image, shapes and text. – Support all TWAIN 2.2 & WIA features for image acquisition. – Directly access to bits of an image. – Manage color palette of an image. – Quantize & reduce colors of an image. – Apply rotations, mirror & flips. – Read & write Metadata such as EXIF tags, Thumbnail tags, GPS tags & IPTC tags. – Apply color mapping & ICC profiles to RGB and CMYK images. – Remove automatically borders of an image. – Apply filters and effects. – Cleanup image (despeckle bitonal images, remove lines & noise, repair characters…). – Merge and overlay Images. – Generate PDF & PDF/A. – Extract & search text from a PDF.